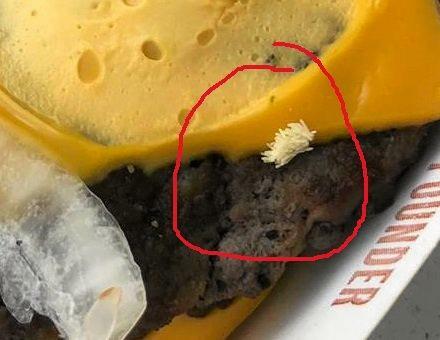 THIS couple has learnt a lesson about checking your food before you leave the drive-thru. Callum Wentriro's partner had been shopping in Kingaroy and stopped in to McDonald's to get lunch to bring home. When they sat down in their Wondai home to enjoy their burgers, they made an unusual discovery. "My partner doesn't like the pickles, so she pulled back the bun to take them off," Mr Wentriro said. However, according to Mr Wentriro, they made a stomach-churning discovery. "At first I thought it was extra sesame seeds," he said. "I told my mum about it and she said 'no, they are fly eggs.'" Mr Wentriro then phoned the fast food restaurant to inform them of the unusual ingredient. "The manager said to bring it back and they would give us another burger," he said. "Thankfully she doesn't like pickles, otherwise she would've eaten it. "I thought it was absolutely disgusting." 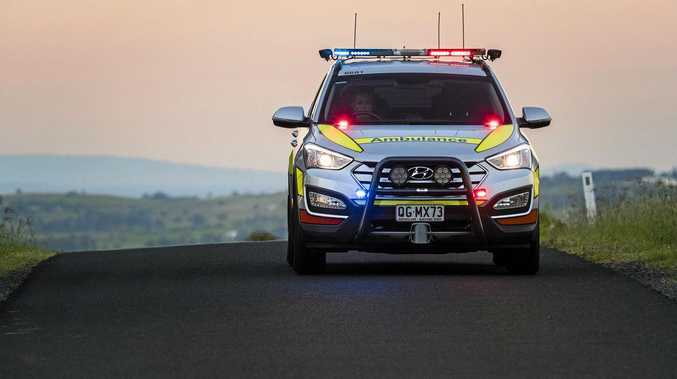 Acting manager at Kingaroy McDonald's, Daniel Harding said he had spoken to the couple on the phone and offered them another burger. Mr Harding said while he had not seen the burger or any photos, he did not think the food was contaminated. "The store is sealed, we have regular pest inspections and there are air curtains on the door," he said. "It may have been extra sesame seeds or seasoning. "It may have been a regular smaller onion." Mr Harding said there was a strict policy McDonald's staff must follow for any accusations of food contamination. "Our process is to put the food into a sealed package and it is sent to head office to be tested," he said.